One of the most enduring icons in the business world is the commissioned salesman. Call yourself what you want – agent, advisor, financial planner, problem solver, producer – we are all salesmen. We are good at what we do and we are always getting better. We have been successful at surviving in this business, the major leagues of selling, because we enjoy working with people and we know our product has real value. We don’t let discouragement get us down, at least not for very long. We demonstrate commitment to the people we serve and always seek to provide what is needed. We work when it is sunny; we work when it is raining or snowing. We work in the daytime; we work at night. We work when we feel good; we work when we are not feeling so good. We are not deterred by a depressed economy - we adjust to find the money. We are not held back from our goals by regulations that change the playing field - we are free to bob and weave into new markets. And yet there are some in this world that fail to see our value to the community. They are ignorant to the facts that the work we do keeps families together, makes it possible for businesses to survive and jobs to be retained. They are of the [false] impression that government can do it better. Call it socialism, progressivism or any other “ism.” But the challenges to our great industry are much greater today than they have ever been. Many of our “seasoned” members have seen threats to this great force for good in the past and yet they endured. They endured partly because they were smart, committed to their work and resilient.They endured, in large part, because they had advocates in the power centers of their state and in Washington, DC to thwart the enemies of free enterprise. They had NAIFA. The challenges you and I face today are real. The challenges you and I face today are greater than before. The challenges to our clients and our livelihood are found in both Olympia and in Washington, DC. They are found in committees and caucuses, meeting rooms and councils of men and women who know very little about what we provide to their constituents. When we fail to show up at hearings, when we fail to call or meet with legislators to tell our story our futures are in more jeopardy than we realize. NAIFA is our collective voice that tells our story to lawmakers when we are busy doing what we do best – selling. NAIFA is our voice to Congressmen, Senators and Governors. NAIFA shows up at those hearings, meets with legislators to tell our story and works day after day to represent you and me. Your NAIFA dues help keep our name in front of “them” but dues alone are not enough. 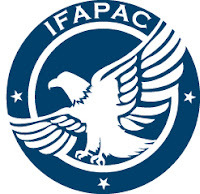 That is why we have a political action committee – IFAPAC. NAIFA needs more members to participate in the PAC to get the EARS of legislators who have the power to affect our future. If you feel it is time to stand at the window and shout, “I’m a valuable provider of money when it is needed and I’m not going to take it anymore!” then join me and other NAIFA members by contributing to IFAPAC. Participate with at least $5 per month. No, make it $10. If you think about it, $30 per month – a dollar a day – is affordable for anyone in this business. Invest in your future. Look at your PAC participation as career insurance. Your PAC contributions keep our collective voice heard in Olympia and in Washington, DC and make it possible to inform lawmakers of your value to their constituents, their own families and to the community as a whole. 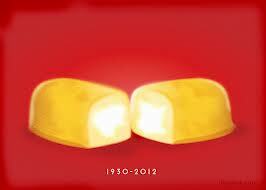 You are not selling Twinkies or Ding Dongs. You are not going to let outside forces drive you into oblivion. No. Instead, stand tall, gird up your loins, carry the shield of justice and wield the sword of truth and virtue. Get involved. Participate! Join IFAPAC.